This is Beacon, a new smart device that monitors air quality and uses bio-rhythmic lighting to relax you. With its built-in air quality monitor, Beacon’s detect harmful particulates and take steps to improve the quality of air. 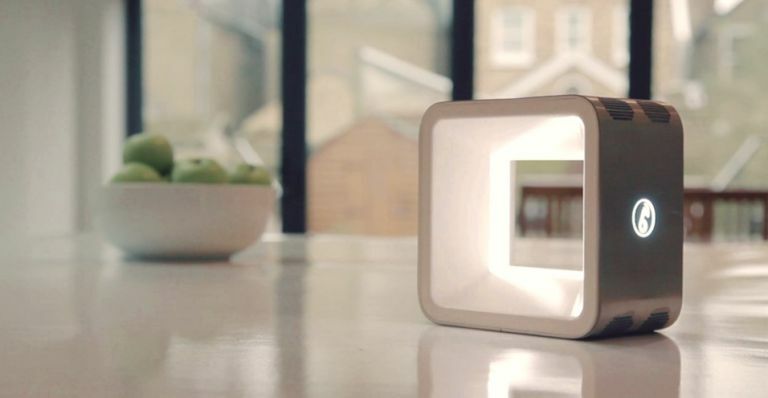 The brilliant little box is also capable of generating artificial sunlight that helps align circadian rhythms, improving your sleep patterns and helping you kick-start the day. Finally, with the Beacon’s built-in speakers, you can reduce noise pollution in the room with ambient nature sounds or connect your smartphone to play your own music playlist. You can use Bluetooth or even connect up your headphones and enjoy that ambiance in isolation. Add in the ability to charge other devices and easy to use controls and the Beacon is one unique little package. Its Kickstarter campaign just went live at 2pm today, so head on over and be one of the first to nab your very own Beacon. Are you in the market for a state-of-the-art heart rate monitor that can track your ticker in rest or activity without getting in the way? Sounds like you need the new Polar H10 and Polar Pro Strap. Polar H10 works with all Bluetooth compatible Polar watches and trackers, and when used with Polar Beat - Polar’s free fitness and training app - there's even a built-in memory for heart rate data from one training session for tracking your heart rate without a phone nearby. Polar H10 also works with leading fitness apps, compatible gym equipment and many other Bluetooth devices. It's available to buy from the official Polar website for £76.50 and comes with either Polar Pro Strap size XS-S or M-XXL. With smartwatches and activity trackers getting more and more expensive by the day, the idea of having a smart, powerful bit of tech strapped to your wrist is fast becoming a little too out of reach. So it's great to see wearables such as the Fossfit Whizz step up the plate with a design that's feature-filled, stylish and very agreeable in price. The UK-developed activity tracker, when synced with a bespoke app for iOS and Android, packs in every kind of tracker you could possibly want. There's that all important pedometer, a sleep tracker and a hydration monitor. Best of all, it can monitor your heart rate and your body temperate. Not bad for £39, eh? Add to that a water resistant IP67 rating, the power to take photos on your phone via remote control and a sedentary monitor to keep you moving and you've got one impressive wearable. Interested? Of course you are, you can order one today in black or pink for only £39.